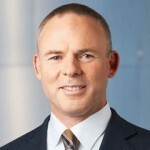 BHP Billiton chief executive, Marius Kloppers, advised the Big Australian’s remuneration committee that he does not want his bonus this year. It is no small sacrifice, given that Kloppers’ bonus last year – US$4.7 million – was more than twice his salary (US$2.1 million). The sacrifice came last Friday, as BHP Billiton announced a $US3.3 billion write-down of American shale gas and Western Australian nickel assets. Cynics might say that Kloppers hardly needs the extra cash after five years in the top job, but personal branding experts say that Kloppers’ move is the kind of personal and corporate branding that money cannot buy. However, Kloppers will have to follow up this high-profile move with further action that reinforces his commitment to the miner’s future success. The remuneration committee and the board announced that they “respected” Kloppers’ decision. The CEO of BHP Billiton Petroleum, Mike Yeager, also sacrificed his right to a bonus in the wake of the write-down. Increasing the visibility and presences of both Kloppers and BHP in a positive way. It is a story that the company has managed well. Creating a stronger, more controlled image for himself and the company because they are seen to be on the front foot. Walking the talk – an essential to demonstrating leadership. Positioning the company as a good corporate citizen. Removing the CEO from accusations of greed. Probably increasing Kloppers’ compensation in the long-term as his leadership and sacrifice are appreciated. Demonstrating to the company’s employees that their CEO will be the first to make sacrifices to take the company through any difficult times ahead. Reducing turnover and boosting morale by showing the leader is connected to the issues. Improving productivity by inspiriting other executives and employees to put in more effort, like him, above and beyond the basics. In short, a good return on investment.